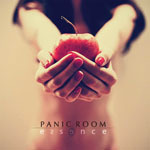 Share the post "Album review: PANIC ROOM – Essence"
Originally planned as an acoustic ‘retrospective’, the sessions for Panic Room’s fifth studio album metamorphosised with Dave Foster (Steve Rothery Band, Mr So & So) joining the band. An infectious spirit, it was never likely that he was going to be parted for long from his electric guitars. In fact, Foster’s fresh infusion of blood results in Essence sounding more like evolution than reflection, with past songs deconstructed and their core elements re-engineered. And while it’s currently only available from the band’s website and at gigs, Essence shouldn’t be considered a ‘for fans’ only release (although it was sort of conceived that way). It’s as relevant as any of Panic Room’s previous releases and, I suspect, is a strong signpost to their future direction. Opening with ‘Promises’ – one on the strongest songs on Skin, the track is allowed to space to breathe with Jonathan Edwards’ piano and Anne-Marie Helder’s breathy vocals given prominence, moving through an understated acoustic guitar, flute, and percussion mid-section, before closing out with an eruption of exquisite lead guitar lines courtesy of Foster. In many ways it sets a template for much of Essence – ‘I Am A Cat’ – one of the band’s more ‘characterful’ numbers off Satellite is given a more conventional outing, ‘Songs For Tomorrow’ gets a gentle bossa nova treatment with Spanish guitars,’ Rain & Tears & Burgundy’ – a new number – is a timeless ballad with some beautiful acoustic lines, and Helder is irresistible throughout. ‘Apocalypstick”s Eastern overtones are reinvented as mischievous piano and throbbing bass lines, climaxing in an explosive finale where the juxtaposition of Edwards dancing finger work and Foster’s incendiary lead guitar breaks equal the intensity of Marillion’s ‘Gaza’. ’5th Amendment’ – a Panic Room live staple – is given a tender work out, but it is the inventive re-workings of ‘Screens’ which catches the ear – starting with a funk bass line, it builds with some choppy acoustic and percussion lines, Helder’s diva vocals angelic and near perfection, and inclusion of some funked up piano and electric guitar work, inspired. ‘Moon On The Water’ gets a fairly ‘straight’ rendition with some nice acoustic and flute work, while ‘Denial’ – a new number – with its bluesy electric guitar lines, and Helder’s smouldering and swooping vocals – that build to something of a dreamy and ‘orgasmic’ finale – looks set to become an audience favourite. ‘Black Noise’ – one of the band’s heavier numbers is reinvented reggae style with a stupendous Stranglers ‘Peaches’ style bass line courtesy of Yatim Halimi. Having witnessed this played live it’s a monumental version, with Foster once again getting the opportunity to demonstrate his dexterity on lead guitar. On ‘Firefly’, Edwards fingers dance across the ivory literally like fireflies in a quite gorgeous rendition – Kate Bush-style with Foster, for once, keeping his electric guitar under wraps in favour of some neat acoustic work. ‘Satellite’ too, is given a fairly straight run out, with the exception of Foster’s distinctive closing guitar lines which add a new dimension to the Panic Room sound. It seems unfair that bassist Halimi, and drummer Gavin Griffiths don’t perhaps get the recognition they deserve. But when you’ve got a strike force to equal that of Neymar, Messi, and Suarez, (yes, Edwards, Helder and Foster are that good) it’s inevitable who’s going to get the most plaudits. This entry was posted in ALBUM REVIEWS, ALBUM REVIEWS (Mobile), All Posts and tagged acoustic, album, Anne-Marie Helder, Dave Foster, Essence, Gavin Griffiths, Jonathan Edwards, Panic Room, prog, progressive, review, rock. Bookmark the permalink.